Between organic tree burial pods and a booming funeral concierge business, it seems we have quite the morbid fascination with a beautiful afterlife. 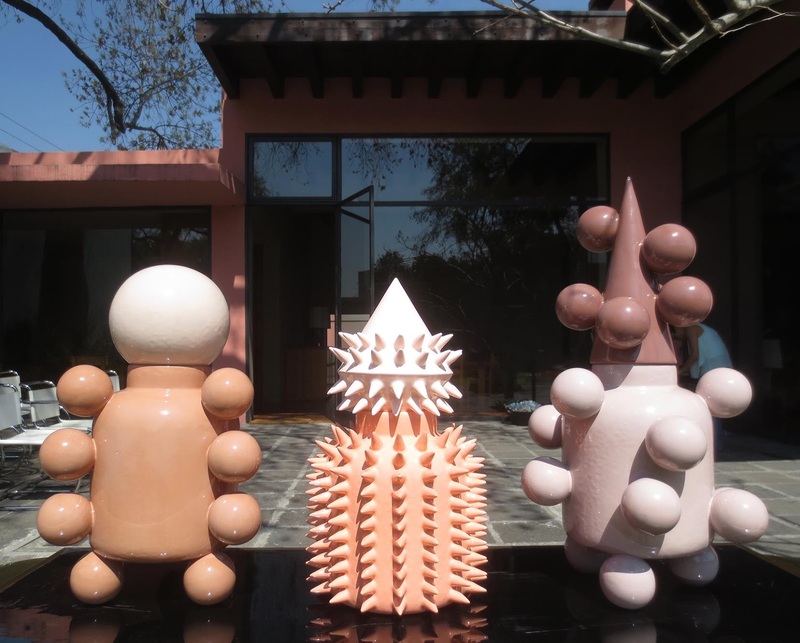 Now, pastel-hued, ceramic funerary urns by Mexico City's MT Objects make it possible to die as artfully as one lived. Launched by designers Tony Moxham and Maurcio Paniagua of DFC, MT Objects takes its cues from pre-Hispanic forms, with a bit of surrealism thrown in for good measure. In fact, the two spent countless hours in Mexico City's Museum of Anthropology gathering inspiration for their new home design label. 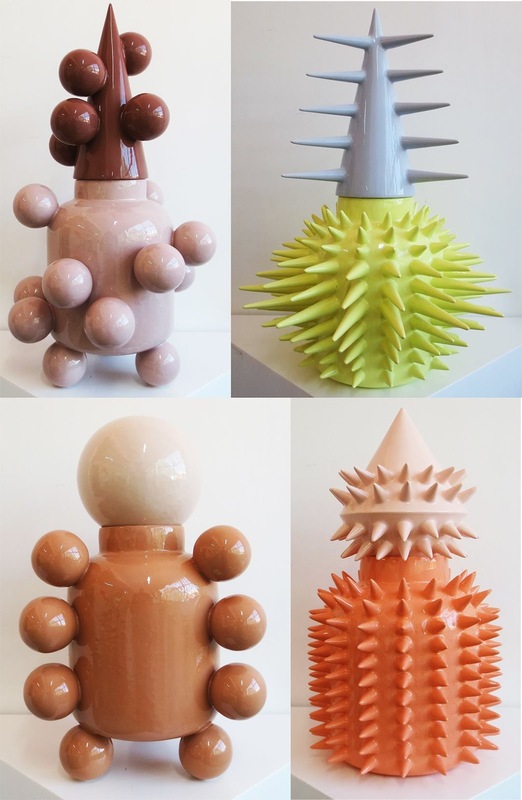 The spiked urns, for instance, are inspired by the Ceiba tree and the Mayan belief that the tree's trunk connects the planes of the underworld, the terrestrial realm and the skies. The ball-covered urns are a nod to the Aztecs, who used similar techniques to build complex vessels. Yet, it was often the similarities between pre-Hispanic and modern styles—particularly Memphis design—that struck Moxham and Paniagua most, informing MT Object's strange mix of ancient and sci-fi-esque. The urns are crafted by a Mexico City ceramics collective and are available for purchase at design stores and museum shops in Mexico, as well as at the Pérez Art Museum Miami. A short distance to travel for a beautifully-crafted eternity, really.